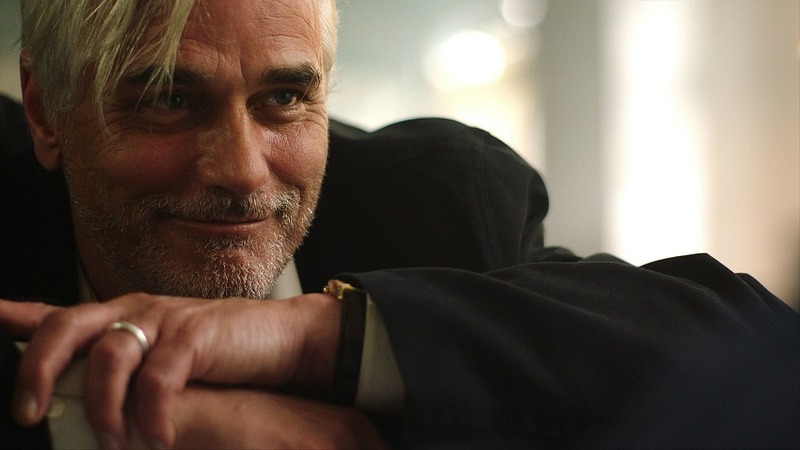 Paul Gross | TV, eh? 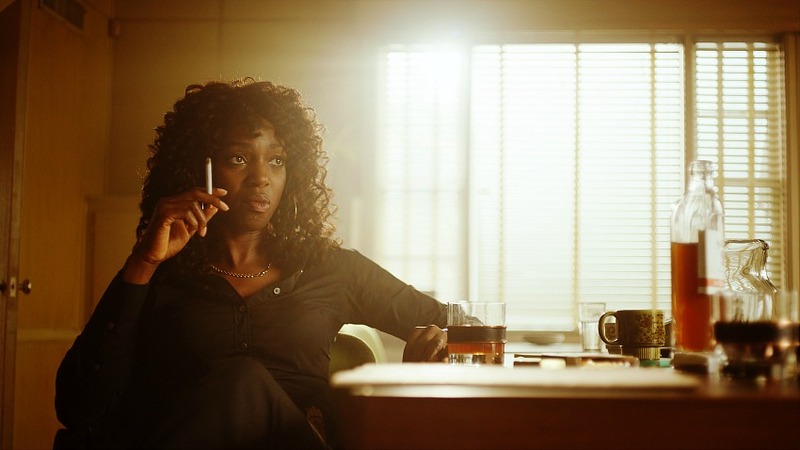 Caught: Enuka Okuma discusses the “very modern character” of K.C. K.C. Williams (Enuka Okuma) is a take no guff kind of gal. A successful DEA agent tired of not getting the credit for taking down bad guys, she teamed with RCMP officer Roy Patterson to chase down Slaney (Allan Hawco) and Hearn (Eric Johnson) on Caught. Okuma, who most recently starred in the web series Spiral, Season 1 of Slasher and almost 80 episodes of Rookie Blue, sat down with us last year during a break in filming Caught in downtown Hamilton, Ont., to discuss her K.C. and what it was like to play the only character who was not in the source material. Allan told me that K.C. 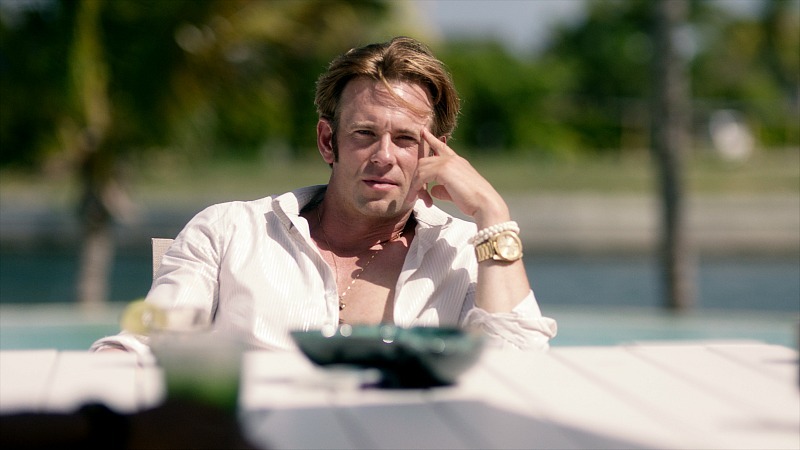 Williams is a character he created specifically for the TV series. Enuka Okuma: Yes, and that’s something I was unaware of when I bought the book! [Laughs.] I was three-quarters of the way through the book and I was like, ‘There is no such woman!’ For me, this is actually really exciting because I feel like this character is speaking to something that we’re talking about in the world today: female equality and diversity. She is a very modern character. I feel very lucky that they included her. Looking at the characters in the book from my perspective and getting to know what the other characters were thinking, going after and what their desires are … it felt like a little bit of cheating because I had more information than I would visually. She’s the DEA agent in the mix and, I think, is the only American in the story. She is coming at this case differently than the RCMP and how they are trying to catch the bad guys. What is their relationship like? Do they get along? Paul and I have been trying to figure out who these two people are to each other. Roy is a little curmudgeonly and I am a little acerbic, so together it could be combustion, or if we decide to work together there can be a little magic. What did you take away from reading Caught? With a book, you always get the layers no matter what the project is. Being immersed in the world was really interesting. And, theatrically, they needed to do some things to move the story along. It works. I feel like everything that they changed makes perfect sense. But the book really lets you know, for Slaney and especially for Patterson, what is going on in these guys’ heads. Plus, for me, just delving into what they were going through at the time just puts you in that headspace. The wardrobe on Caught is fantastic. Michael Ground has really knocked it out of the park with this stuff because a lot of it has been built for us. You want to get vintage stuff to make it look realistic, but if you’re doing stunts and you have doubles you need more clothing. These boys have been rocking their looks. Eric and Allan, in their flashback scenes … it’s a little Hall & Oates inspired. Eric sent me a picture of the two of them in the makeup trailer and they literally looked like Hall & Oates. Caught airs Mondays at 9 p.m. on CBC. Way back in the spring of 2016, the CBC announced Caught—an adaptation of Lisa Moore’s acclaimed noverl—as part of its 2016-17 broadcast lineup. But by June of 2016, Caught‘s fate had changed. So, what was the reasoning behind the project’s delay of over a year? Timing. Debuting Monday at 9 p.m. on CBC, Caught is a five-part roller coaster caper lovingly wrapped up in the pot-fragranced, lead gas guzzling, rock anthem setting that is 1978. Locked up after a drug deal goes wrong, David Slaney (Allan Hawco) breaks out of a New Brunswick prison to try one more caper with his former partner Brian Hearn (Eric Johnson). It’s Slaney’s last chance at freedom, but nothing is what it seems. Slings & Arrow‘s Paul Gross plays RCMP detective Roy Patterson; Open Heart‘s Tori Anderson is Ada, Brian’s gal pal; Mary Kills People‘s Charlotte Sullivan is Jennifer Baker; Rookie Blue‘s Enuka Okuma is KC Williams, a DEA agent who teams with Roy; and Greg Bryk as Cyril Carter, a friend of Brian’s. Monday’s debut opens to the strains of Creedence Clearwater Revival’s “Up Around the Bend,” as Slaney sprints through a darkened forest, prison dogs and guards at his heels. But as Slaney quickly discovers, his friend Brian may be the reason he ended up in prison in the first place. Filmed in St. John’s, Hamilton, Ont., and the Dominican Republic, Caught certainly captures the late 70s in all its glory, from pale brown leather jackets and wood panelling to the permed hair and tobacco smoke hanging over everything. And, as Slaney crosses the country attempting to evade capture at the hands of Patterson and KC, we meet colourful characters along the way. Hawco purchased the television rights to Caught after Tecca Crosby, eOne’s senior vice-president of creative affairs, handed the book to him in 2014. Hawco was in Toronto performing Belleville at The Company Theatre and headed back to where he was staying. He and Perry Chafe—one of his partners at Take the Shot Productions and executive producer on Doyle, Frontier and Caught—bought a couple of copies of the book at a local Chapters bookstore. Hawco read Caught in three hours. “I could hear the soundtrack, I could see the show right away,” Hawco says. “The rights for the book were being sought after by a bunch of people, so I called Lisa and said, ‘I want to work with you on this.’ I think the pedigree of Doyle and that we were just starting Frontier at the time helped. 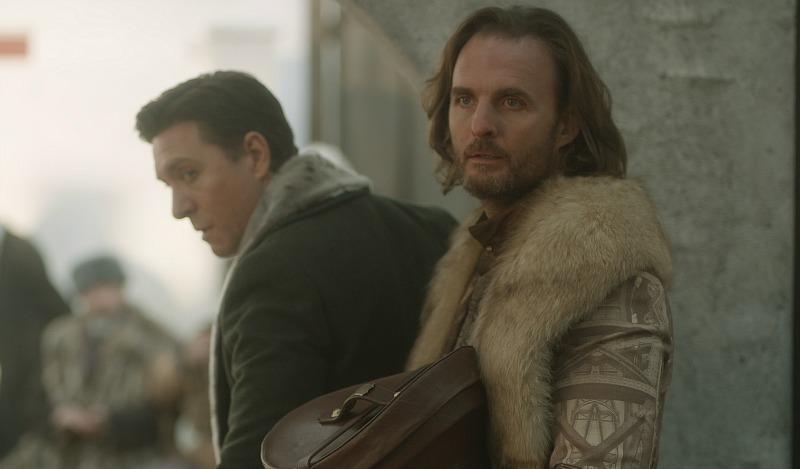 The character of Slaney spoke to me.” Hawco credits Moore’s writing—the ability to craft an inner monologue on the page—with his connection to Slaney and offered the veteran performer the opportunity to play a role he’s never done. Hawco did futz with the source material a bit when crafting his adapation—creating KC Williams as a partner for Patterson, who is a lone wolf in the novel—and some plot deviations, but the novel’s DNA is still there. Sure, I’m excited about the Winter Olympics. I’ll be watching with Canadian flags in hand as our athletes compete in Pyeongchang over the next two weeks. But, honestly, a part of me views the Winter Games as just the lead-up to the debut of Caught. Adapted from Lisa Moore’s acclaimed novel, the five-part limited-run series, debuting Monday, Feb. 26, at 9 p.m. on CBC, is set in 1978. Locked up after a drug deal goes wrong, David Slaney (Allan Hawco) breaks out of a New Brunswick prison to try one more deal with his former partner Brian Hearn (Eric Johnson). It’s Slaney’s last chance at freedom, but in this tale of bravado and betrayal—and killer soundtrack—nothing is what it seems. Caught stars Hawco, Slings & Arrow‘s Paul Gross, Open Heart‘s Tori Anderson, Johnson, Mary Kills People‘s Charlotte Sullivan and Rookie Blue‘s Enuka Okuma. Get a glimpse of the characters in the below photo gallery and a tease with the official trailer. Caught debuts Monday, Feb. 26, at 9 p.m. on CBC. Images courtesy of Duncan De Young for CBC. Take The Shot Productions announced the start of production of the new CBC original drama series CAUGHT, which will premiere in winter 2018 on CBC, as announced at the public broadcaster’s 2017-18 season preview launch last week. Starring Allan Hawco (who will play David Slaney) and Paul Gross (playing Patterson) and produced by Take The Shot Productions, filming kicked off this week in St. John’s, Newfoundland. Executive producers include Allan Hawco, Perry Chafe, John Vatcher, Alex Patrick, Peter Blackie, Rob Blackie and Michael Levine. The series is written by Allan Hawco along with John Krizanc, Adriana Maggs, and Julia Cohen. It will be directed by TJ Scott and John Vatcher. CAUGHT is adapted from Canadian author Lisa Moore’s acclaimed novel of the same name (published by House of Anansi Press), which was shortlisted for the Rogers Writers’ Trust Fiction Prize and the Scotiabank Giller Prize and selected as an Amazon.ca Best Book and for The Globe 100 Books in 2013. CAUGHT is a new series set in 1978. Locked up after a drug deal goes wrong, David Slaney (Hawco) makes a daring break from a New Brunswick prison to attempt one more deal with his former partner (Eric Johnson) – all this with a dogmatic police officer, Patterson (Paul Gross), at his heels. It’s Slaney’s last chance at freedom – but in this tale of bravado and betrayal, nothing is what it seems and no one can be trusted. CAUGHT stars Allan Hawco (Republic of Doyle, Frontier, The Book of Negroes), Paul Gross (Alias Grace, Hyena Road, Passchendaele), Tori Anderson (Open Heart, No Tomorrow), Eric Johnson (Fifty Shades Darker, The Knick), Charlotte Sullivan (Chicago Fire, Disappearance), Greg Bryk (Bitten, Frontier) and Enuka Okuma (Rookie Blue, Battle of Sexes). Take The Shot Productions Inc. has developed and produced award winning content which has garnered critical and commercial success, both domestically and globally. Based in St John’s Newfoundland, TTS produces a variety of both scripted and unscripted projects for television. Past productions include award nominated series Republic of Doyle on CBC and Discovery Canada/Netflix Worldwide Original Series Frontier, starring Game of Thrones and Aquaman’s Jason Momoa. Frontier will be returning for Season 2 in 2017. Other projects have included the hot factual series Majumder Manor, Boy on Bridge featuring Great Big Sea frontman Alan Doyle, HBO Canada’s Shaun Majumder, and Every Word is Absolutely True.